I thought that for the next few days, until Mother's Day, I'd post some simple, inexpensive but really pretty and useful gift ideas. 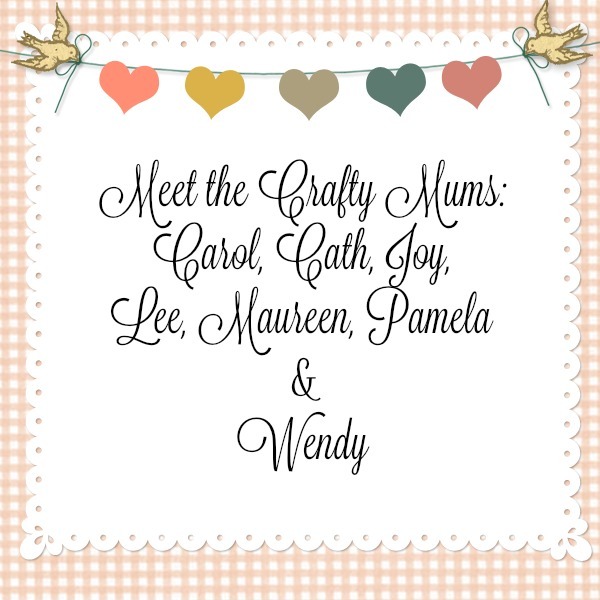 You can make them for Mother's Day, most of them would be suitable to use on a Mother's Day stall, but really they're just wonderful gifts for any reason: birthday, thank you, good-bye, get well, I'm thinking of you - whenever you need a present. And most of them are handmade, and can be made by you - yes you - even if you're not at all crafty. Trust me, because I'm not terribly craft and I have made all of these gift ideas. Today's gift idea is one I enjoy making, and using - the humble bath bomb. Step 1. To make the base mix, sift together the bicarbonate of soda, citric acid powder and food colour (if you use it) in a large, dry mixing bowl. This is enough to make about 4 bombs, depending on the size of the moulds. To give your bombs a pretty, textured look, sprinkle extra herbal tea or potpourri into the moulds before you press in the mix. This is when you stir in any pot pourri or herbs if you are using them (tear open a herbal tea bag and add to the dry mix - lemon tea goes beautifully with lavender essential oil). Step 2. In a small bowl, combine 6 drops of your chosen essential oil with 1/2 teaspoon of olive oil. Step 3. This is the tricky bit. Pour this mixture into the base mix and stir quickly with a teaspoon so things don't start fizzing! You will need to stir very, very quickly and not stop until everything is well mixed. Step 4. Wearing rubber gloves (so your hands don't get stained), continue to combine the ingredients with your fingertips until they start to stay together when compressed in your hand, like wet sand does. When the mixture reaches this stage it's ready to go into the moulds. Stick to simple shapes like stars and hearts so the bombs turn out easily. Silicone cake moulds are ideal to use for making bath bombs, they don't need to be oiled as they can be turned out easily. Silicone cake pop moulds make lovely small bath bombs. Step 5. Wipe a little sweet almond or olive oil inside the mould. Fill the mould with the mixture, packing it in firmly. Make your other bath bombs with the remaining mixture, working with 1/2 cup at a time. Leave the bath bombs to set for at least 24 hours (48 hours is even better) until they are completely dry. Turn each mould over and bang it firmly once on a flat surface, then gently ease out the bath bombs. 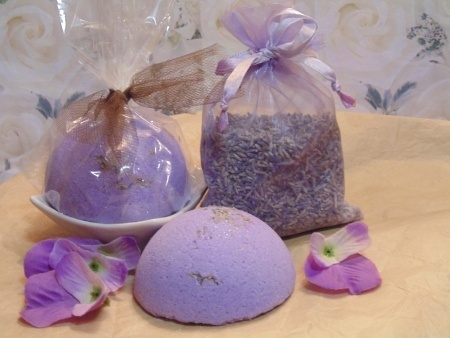 I use lavender from my garden with a good lavender essential oil to make gorgeous bath bombs. To package them I use cellophane bags (you can get them at party supply shops quite cheaply) with about a half a cup of lavender in the bottom. I sit the bath bomb on the lavender and then tie the bag closed with a lavender or darker purple ribbon and they look lovely and very luxurious. Best of all these bath bombs are meant to be used, the lavender makes a delightfully relaxing bath. You'll find powdered food colouring anywhere that sells cake decorating supplies and some health food shops. You can buy citric acid in bulk from bulk cleaning suppliers, I buy it in 5 kilo tubs for around $20. Bulk bicarb soda is available from pool stores - it is known as ph buffer and is available in 5, 10, and 20 kilo buckets or bags. Sherrie the last bucket I bought, early last year, was from Aurora Cleaning Supplies - www.auroracleaning.com.au/ here in Dandenong South. Postage on 5kg to WA would be hefty, it could well eat up any saving you might make. Anne, Aurora are in South Dandenong, about another 25 minutes or so down Eastlink. They do post, it might be worth giving them a call and checking on delivery before you order. Do you have a Soapbox or similar over your way - a bulk cleaning supplies type outlet? They would most likely have citric acid too. 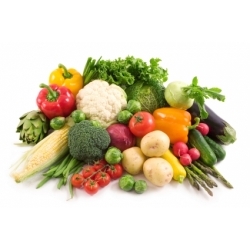 As it's not food grade it is cheaper, and in bulk cheaper again. Bear in mind that 5kg of ctric acid is a lot and will take a while to get through.